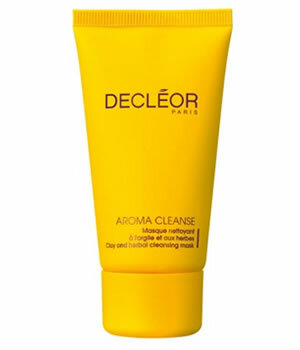 Decleor Aroma Cleanse Clay and Herbal Mask is enriched with a cocktail of fruit and plant extracts for a double effect, purifying and softening. Suitable for all skin types that need a gentle purifying mask. It dissolves all impurities and helps cleanse the skin without dehydrating it, possesses a natural absorbent power and refines skin texture and clears the complexion. It leaves your skin clean and soft. Your complexion is clear and you feel wonderfully refreshed. Decleor Aromessence Ylang Ylang Purifying Serum is a 100% natural serum with a fresh green scent and a non-greasy, dry finish has been carefully blended to make a real difference to combination and oily skin types.